1.To differentiate themselves with value-added services in a crowded market, MTDCs must first consider the entire customer experience chain (CEC) which often shows a huge gap between infrastructure operations and service delivery. Customers typically don’t think twice about technical processes or how a service is produced. Instead, they focus on the end results such as fast delivery, high availability, accessibility, and configuration to their specific needs. A catalog-driven data center puts the customer center stage, determines their specific needs and requirements, and takes these findings into account for every decision made in the service design and delivery. 2. Next, for a data center to effectively offer a customer-centric product portfolio – standardization is key. With this modular approach, components are flexible and can be configured individually when a new product is created. This way, the production line stays highly standardized while the customer gets services tailored to their individual needs. As various delivery options are available, the customer feels like they are getting an individualized service although it is actually composed of standardized building blocks. 3. Lastly, MTDCs must implement a software solution that offers a comprehensive catalog management system to define, manage, and monitor services over their entire service lifecycle. As a centralized service management database, FNT ServicePlanet makes it possible to reuse products efficiently, provide services in a flexible manner with consistently high quality, as well as keep costs under control. 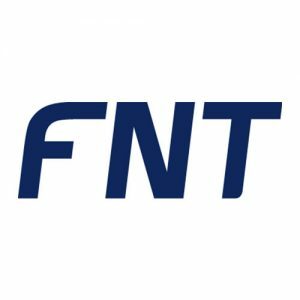 FNT ServicePlanet contains all the information needed to provide the highest level of service management support for a customer’s business processes. In particular, FNT ServicePlanet can deliver user-oriented descriptions for self-service portals while providing all of the necessary technical information for delivery. Overall, the benefits of a catalog-driven approach include accelerated time to market, transparent cost structures, and efficient service delivery processes. A customer-centric catalog-driven approach gives sales teams a precise view on what to sell and enables services to be tailored to individual customer needs more efficiently. Additionally, product portfolio managers are able to design new services faster and respond to customer changes and market requirements promptly. To learn more about FNT ServicePlanet for your data center, please visit our product page here.